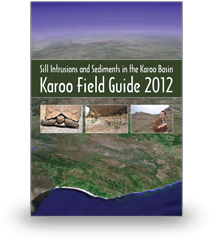 VBPR have arranged field trips to the Karoo Basin since 2001. 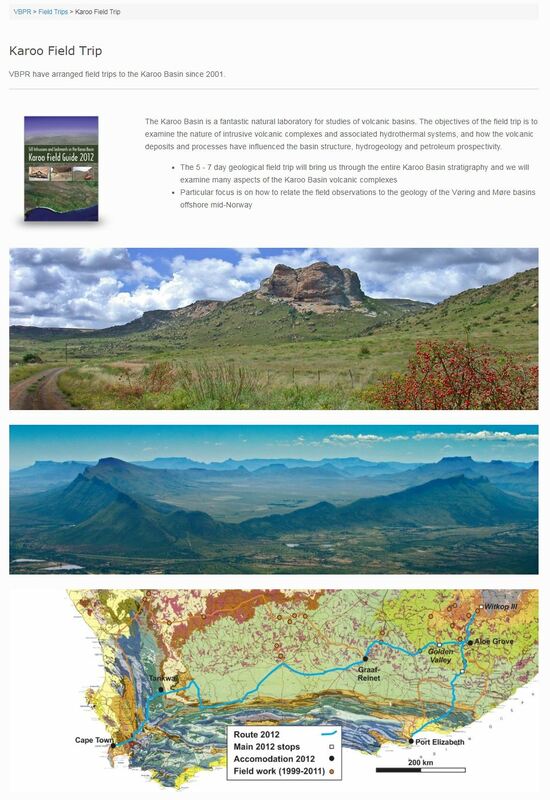 The Karoo Basin is a fantastic natural laboratory for studies of volcanic basins. The objectives of the field trip is to examine the nature of intrusive volcanic complexes and associated hydrothermal systems, and how the volcanic deposits and processes have influenced the basin structure, hydrogeology and petroleum prospectivity.